Before we get started, Macy’s is having a huge promotion right now! It’s 30% OFF select items with the code VIP. And it’s 15% off cosmetics (with code VIP)! The promotion goes through March 24th. And great news, most of the items in today’s post are included in the sale! AMAZING DEALS, ladies! 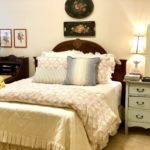 Today’s post is pretty short and sweet. It’s not ground breaking, and I’m sure most of you already do this, but it’s always nice to be reminded of the versatility of a piece. So, on today’s post, I’m going to show you how to style a maxi dress 2 ways. 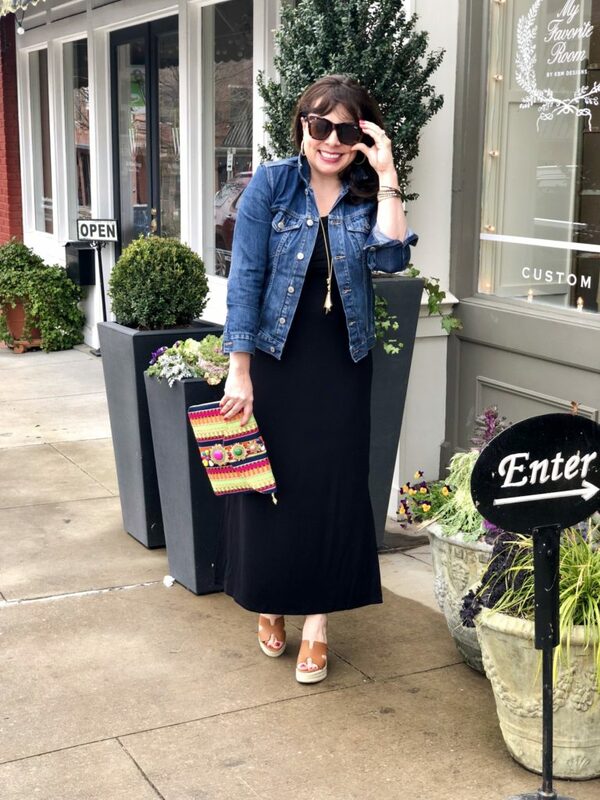 The stars of today’s post are a basic black maxi dress (ON SALE and then an additional 30% OFF with the code VIP) and a denim jacket (30% OFF With code VIP)! 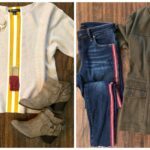 These are two pieces that you MUST have in your closet. No ifs, and, or buts about it….you NEED them both. Hi, my name is Sheaffer, and I’m telling you to. 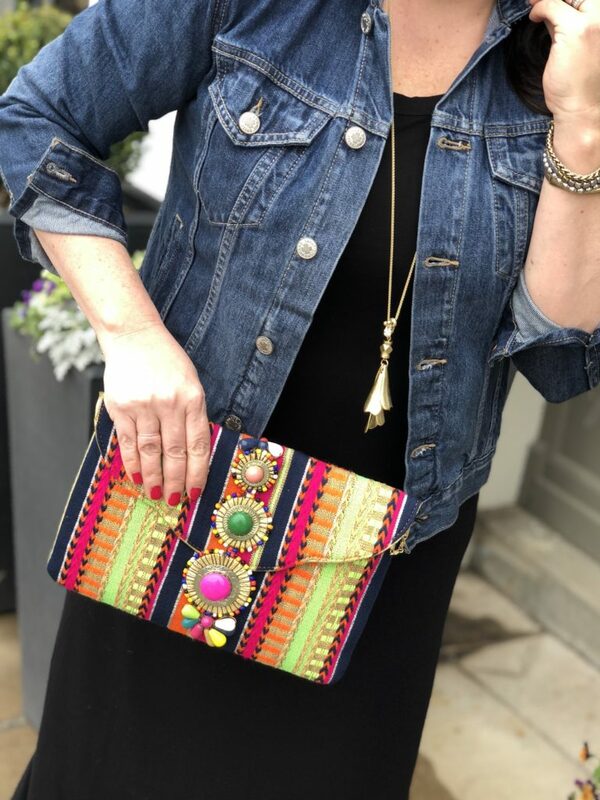 You’ve seen several denim jackets and several maxis on the blog over the years, but I’m really excited about the ones I’m featuring today because they are a bit different than the others I’ve highlighted in the past. 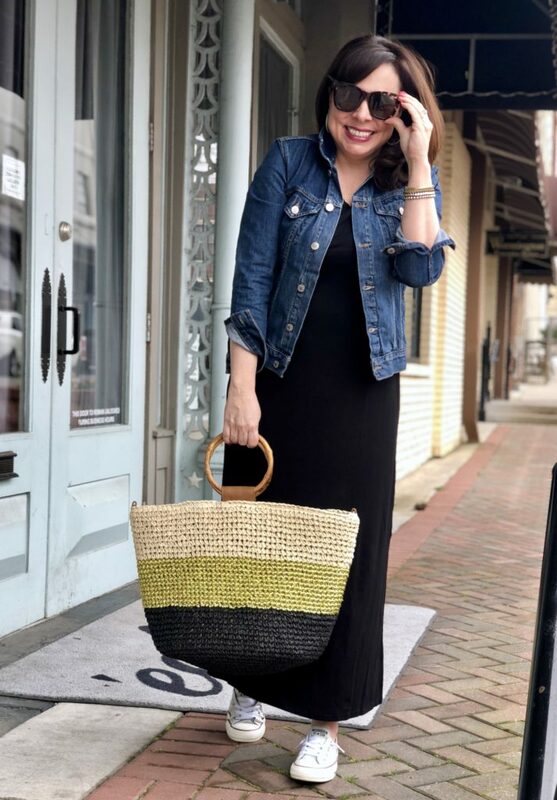 I’m also excited because although I’ve featured the basic combo before (a maxi paired with a denim jacket), I’ve never dedicated a post to how these basic pieces transition from super casual to dressed up with just a couple of really easy changes. The first look today is perfect for a day of sight-seeing, shopping around town, or a day spent traveling. And if you lose the jacket, it’s great for just around the house as well. Let’s start with the dress. This particular maxi is a column, which is different than my other maxis because it doesn’t have a drawstring waist. I’ve never even tried a column maxi because I was always worried it would be too long, but this baby comes in petite sizing! At 5’4″, it’s not too long for me to pair with flat shoes, but you’ll also see that it’s great with tall wedges as well. But don’t worry, this dress also comes in regular sizing and plus sizing! I was always under the impression that a column maxi would hug every curve, but I was wrong! This particular dress is a great relaxed fit and drapes nicely. It’s breathable and comfy as all get out. It comes in olive and blue as well, but I always gravitate towards a black maxi since black is the most forgiving and most opaque. For size reference, since I was buying petite, I went ahead and sized up to a medium to make sure it wouldn’t be too fitted. As you can see, for look #1 I decided to go extra casual. 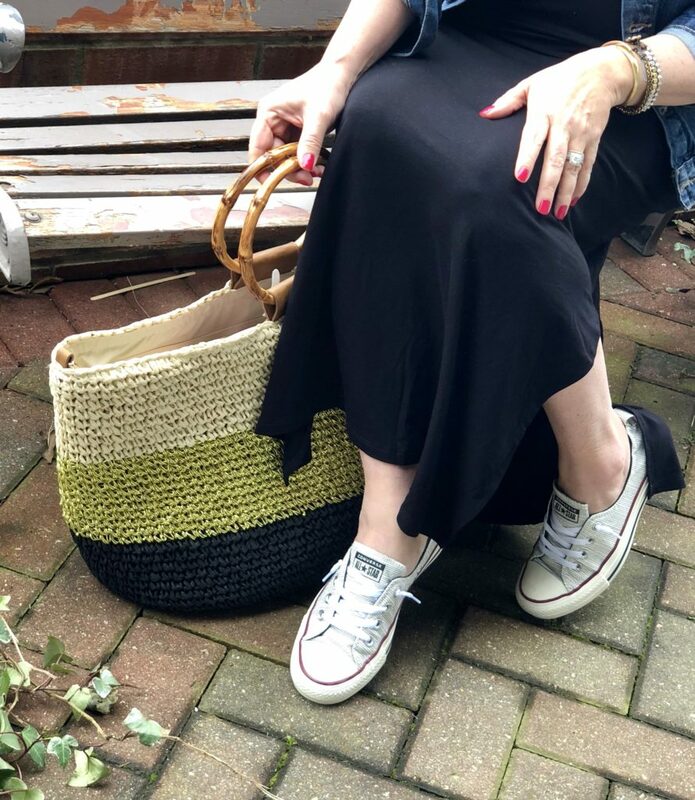 I managed to nail the extra casual vibe by pairing the dress with sneakers! If you’re not a Shoreline Converse gal (I totally am by the way), then I would recommend a pair of flat sandals like THESE. If you aren’t familiar with Shoreline Converse, I much prefer them to regular Converse. They are elasticized on the back of the heel, and you can slip them off and on without having to tie them. They also don’t make your foot look bigger than it is, which I feel is the greatest fault of the regular Converse. 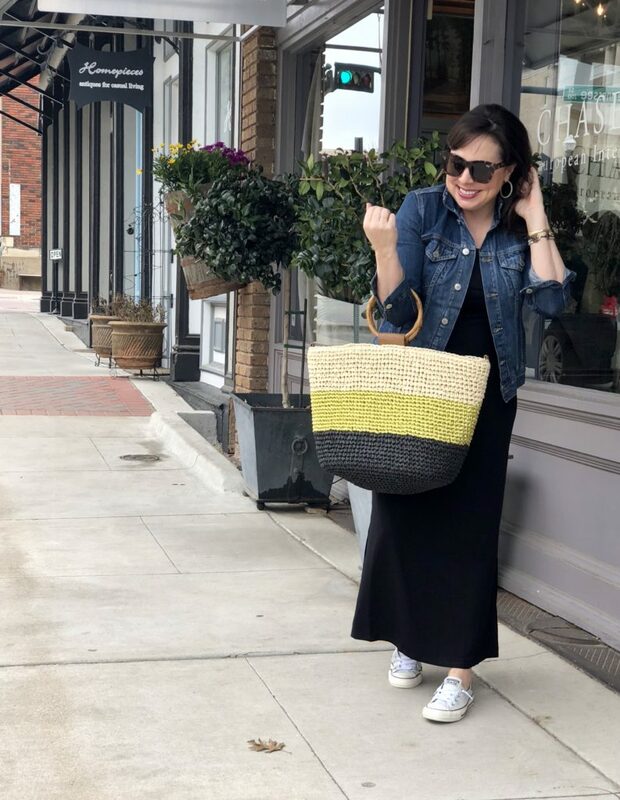 A large tote also contributes to an overall casual look, and this particular tote is fab (and on sale and an additional 30% OFF with the code VIP). 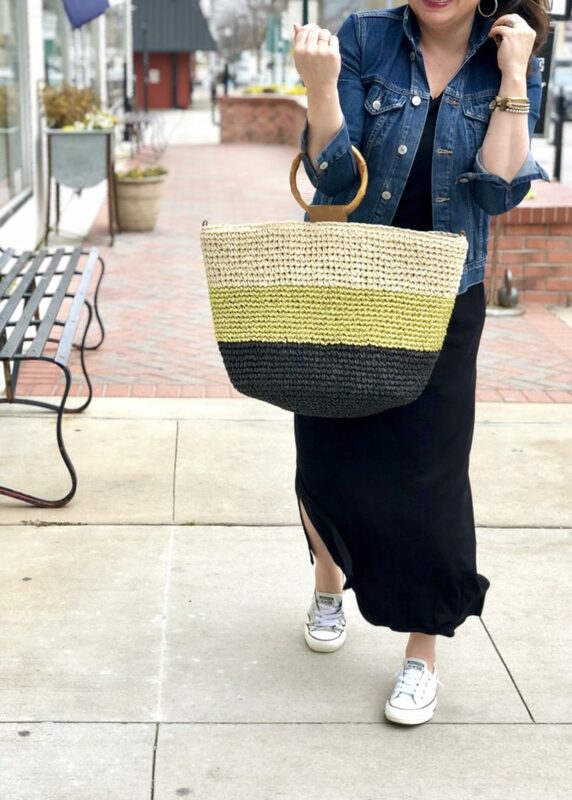 I love the large size, I think the color blocking is lots of fun (and will go with a lot of different outfits), but it’s the faux bamboo circle handles that I’m totally smitten with. They’re just cute. And great news! 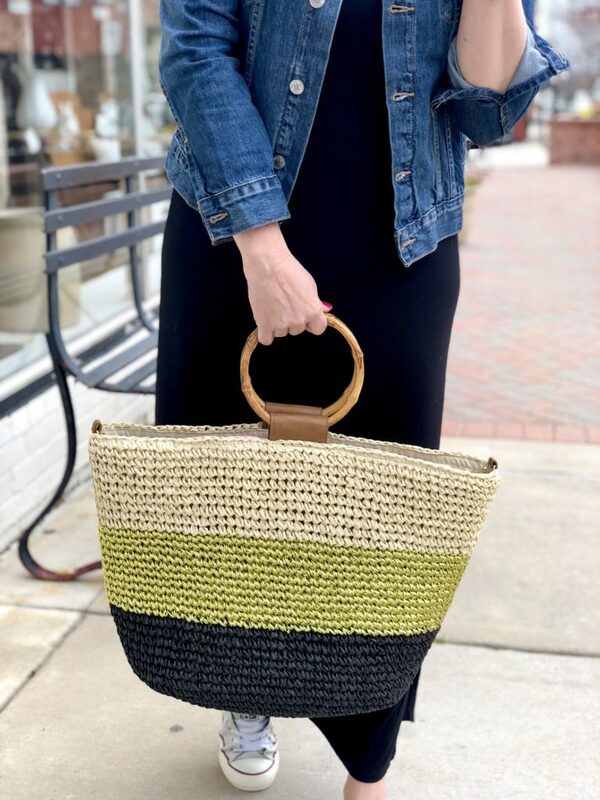 This tote actually comes with an adjustable cross body strap as well. Perfect for travel days! And y’all, the denim jacket is really good. We’ll talk about it more in Look #2. 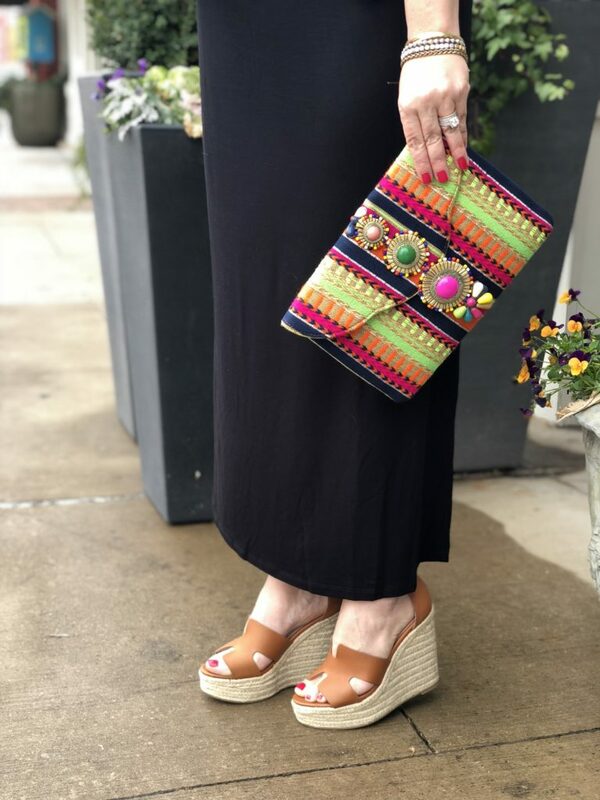 And say hello to a great pair of tall wedges (30% OFF with the code VIP) and a bright and colorful clutch (on sale and additional 30% OFF with the code VIP)! Just a simple footwear and accessory switch up, and you’re ready for a night out with your girls or a date night with your man. I also threw on this pretty little necklace to help elevate the look (also on sale). 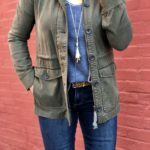 If you’ve been following around here for awhile, you know I’ve been talking about a certain denim jacket for years. And I still have it. And I’m still obsessed. And I continue to wear it AT LEAST 2x a week. HOWEVER, I’ve had a lot of requests for denim jacket options that are a bit longer. This one is a bit longer and sits a little lower on my hips! And it’s still fitted, which I like. I don’t like a boxy denim jacket at all. I’m also super picky about the wash, and I like this medium wash. I sized up to a medium, which I pretty much always do in a denim jacket. It’s the clutch and the shoes that take this outfit from day to night. These easy switch ups make this outfit perfect for travel. Just step off the plane, run by your hotel, and make the switches to get ready for for a night out on the town. The clutch is darling. It’s a great size (plenty of room for a phone, some cards/money, your keys, and make up items) and the colors are bright and vibrant. This clutch is a real outfit maker. Pretty much anytime I want to dress up an outfit, I head to my clutch collection. Something about changing from a big bag to a clutch just gets you ready for a night out. Fair warning, they are quite tall. But even though they are really tall, I don’t have trouble walking in them. Still, if you aren’t used to a taller wedge, you might want to pass on these. If you prefer a tall wedge, you are going to absolutely love them. In addition to cognac, they come in white and a brushed gold as well. I found them to be true to size. So, there you have it, ladies! 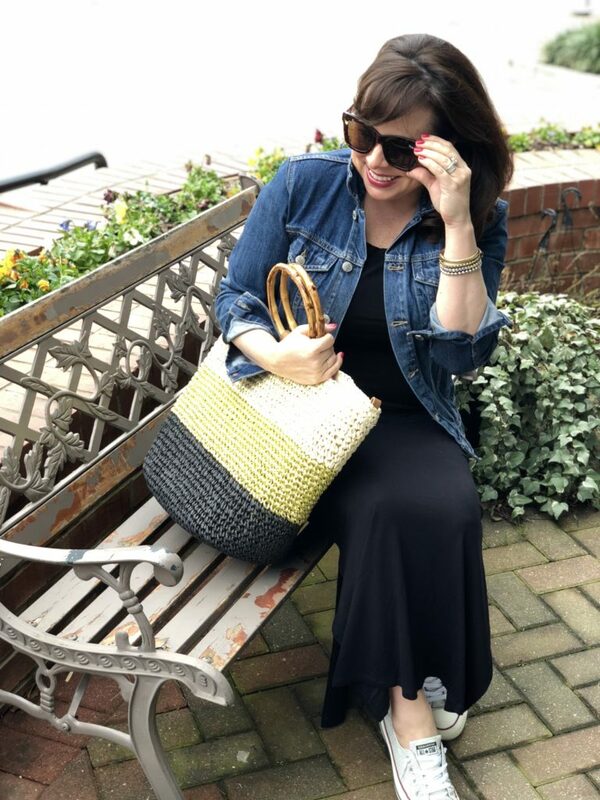 Two ways to style a maxi, with just a simple shoe and accessory switcheroo! 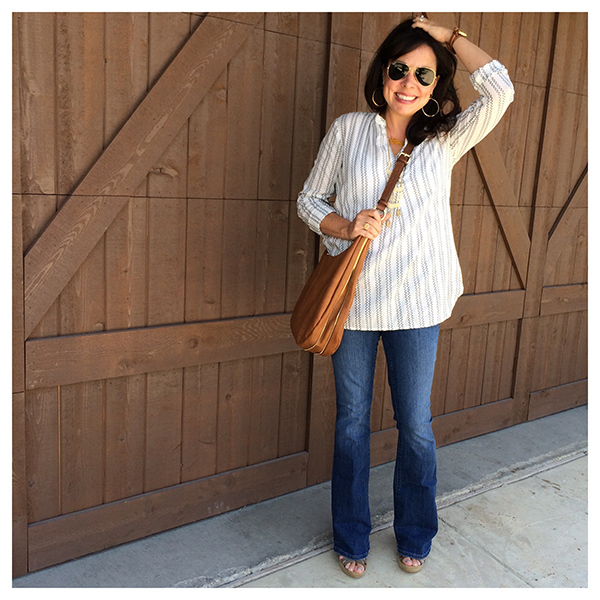 I know many of you shop with versatility in mind, and both of these star pieces are incredibly versatile. So, in case you need more ideas…. Tie up one of the sides of the dress in a little knot and throw it on with flip flops for a super casual look that you could even wear to the beach! I’d throw on a baseball cap, but those of you that can rock a straw hat, you totally should when styling it this way. I should have thought of this while shooting, but just tie the denim jacket around your waist to change up the look just a bit. Keep on the Converse but lose the fitted jacket and put on an oversized sweater or open cardigan on top for a relaxed layered look. 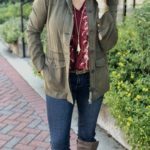 Switch out the denim jacket for a military jacket. Knot a chambray shirt over the dress at the waist. My favorite way to wear a denim jacket is with white denim. If brave enough (I sometimes am), vary the washes and wear a regular denim jacket with regular ol’ jeans. I love to throw them over pretty much all dresses and rompers. If you get the proportions right, denim jackets are even cute with leggings and a relaxed tunic tee. I mean, the possibilities are truly endless. Do you already own at least 1 maxi? What about a denim jacket? Sound off in the comments and let me know if you think they are both MUST HAVES as well! 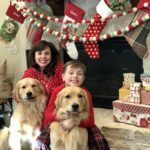 A huge THANK YOU to Macy’s and ShopStyle for sponsoring this post. 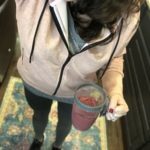 Let’s Get Motivated to Get Healthy! 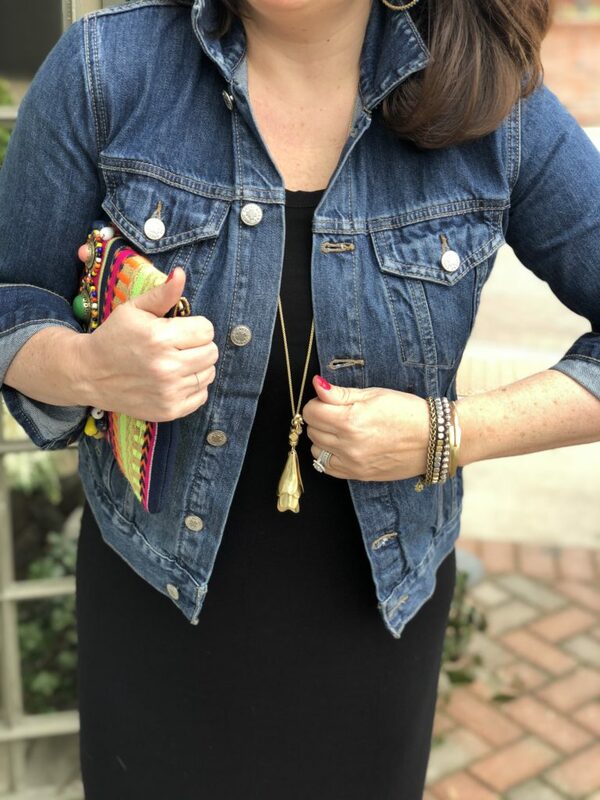 Denim jacket, black maxi and wedges?! Yes, please! You are looking good in that maxi, girl! SO CUTE! Oh, I love both of these looks! That maxi is darling on you! Love the maxi but wish you had at least one picture where you wore it without the jacket so I could see the sleeves and how they fit on you. I had to scroll down to the fingernail picture to see it was a short sleeve. I thought it was a tank top maxi. Hi, Laurie! I appreciate the feedback! It was hovering around 30 degrees on this day, and it never occurred to me to take the jacket off! 🤣 And know you can always click on the text link to see the item on the model as well! 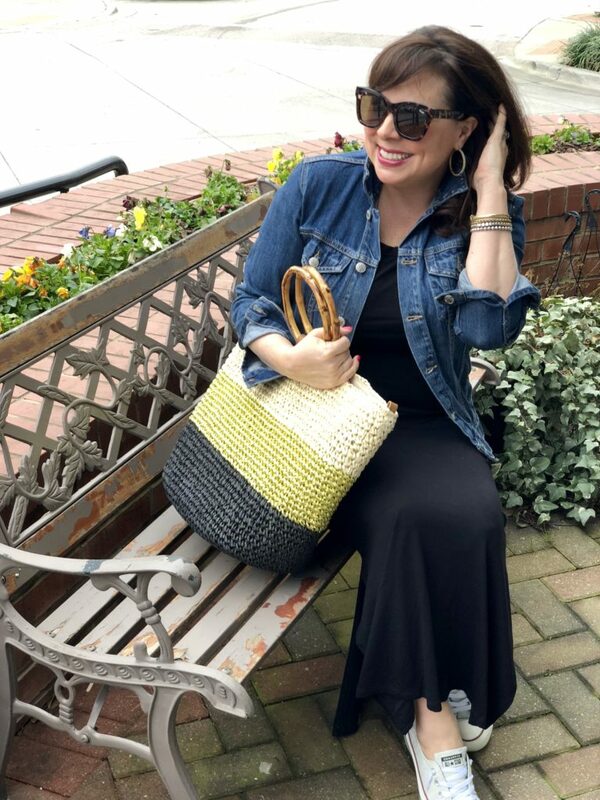 So many cute ideas for how to style a maxi and a denim jacket! This has me excited for all the spring clothes! Hi Sheaffer, great dress! 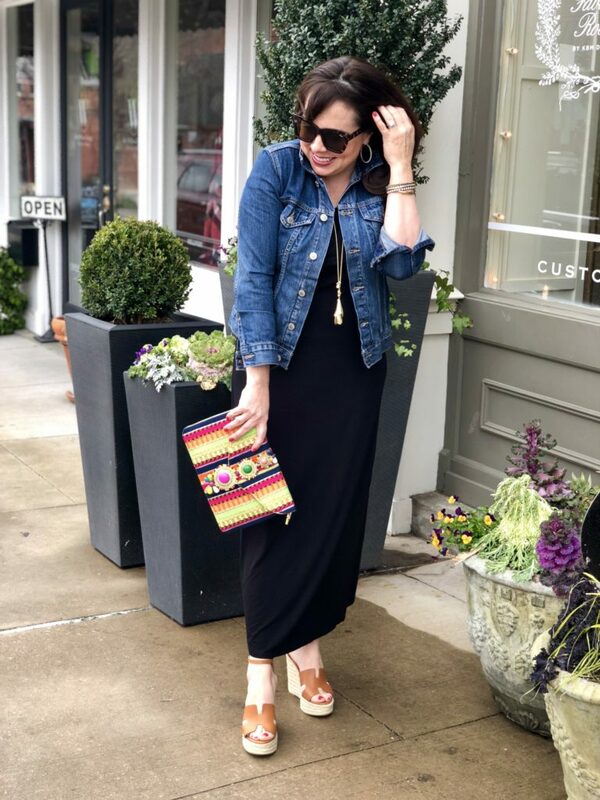 In “Other ways to style a maxi,” you said “tie up one of the sides of the dress in a little knot and throw it on over flip flops….” Would you tie the slit side or the other? Could you do that with yours and post on Instagram? It sounds like a great idea. I would love to see it on you. LOVE MAXI DRESSES!I could live in them although I am 5’10’ tall! 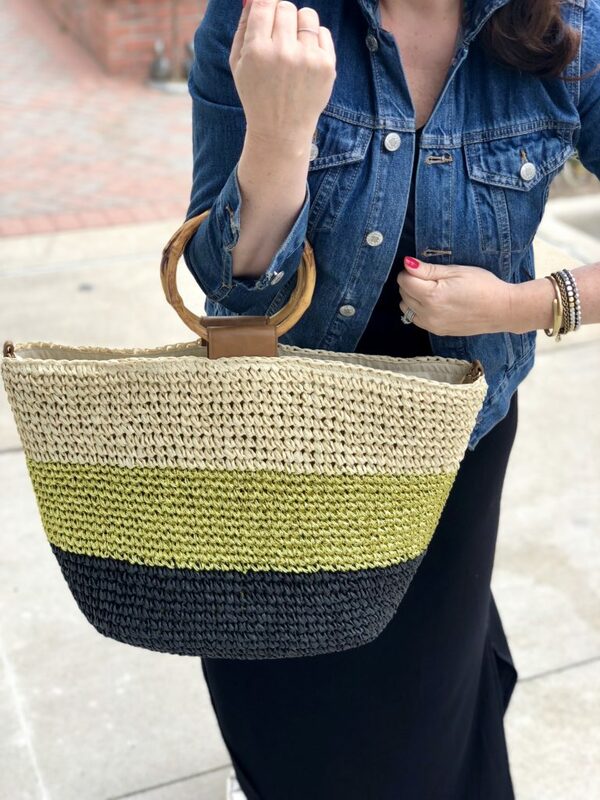 I always carry a BASKET BAG!It comes in so HANDY!Less plastic bags as it can pop into the basket!!! I found you on BLOGLOVIN! !